"We loved our experience so much that we have already booked for next vacation, and are bringing more friends!" "The first thing we noticed was the pictures do not do this house justice. It is simply beautiful. We had 12 in our party and everyone w..."
"The last leg of our 17 day California road trip took us to Shari's loft sanctuary in sunny San Diego. After 13 full on days we were rea..."
Welcome to Pacific Coast Vacation Properties! 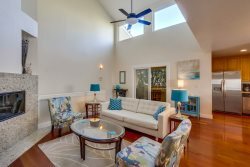 Vacation rentals with all the comforts of home! 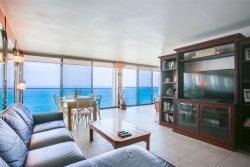 Your source for quality coastal San Diego Vacation Rentals, Coronado Vacation Rentals, Mission Beach Vacation Rentals, Mission Hills Vacation Rentals, La Jolla Vacation Rentals and more! Imagine you and your guests enjoying your own spacious and comfortable vacation rental with all the amenities and furnishings of a finely appointed home. 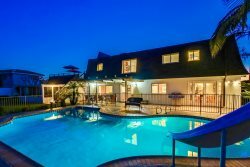 Reserving your vacation home with Pacific Coast Vacation Properties gives you the peace of mind that comes with booking through a professional management company. Close to all the fun! 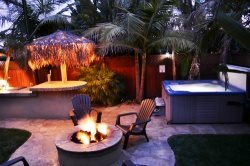 Pacific Coast Vacation Properties are located on or near the beaches in Central Coastal San Diego. Nearby attractions and San Diego Theme Parks include Sea World, San Diego Zoo, The Wild Animal Park (Safari Park), Lego Land, Knott’s Wet and Wild Water Park, Sea Port Village and the Gaslamp District in Downtown San Diego. Visit our attractions page for more information on things to do while staying in a San Diego Vacation Rental. Pacific Coast Vacation Properties is the parent web site of over 25 sites that specialize in vacation rentals in San Diego. With over 200 partnerships with tourist companies, restaurants, equipment rentals companies, and other vacation rental companies, you can rest assured you will always get the best service and lowest prices possible. We look forward to helping you have a great vacation in one of our San Diego Vacation Properties!